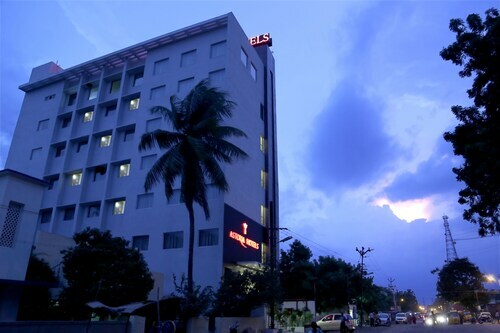 Situated in Madurai, this hotel is within 1 mi (2 km) of ISKCON Madurai, Sri Sri Radha Mathurapati Temple and Meenakshi Amman Temple. Thirumalai Nayak Palace and Gandhi Museum - Madurai are also within 2 mi (3 km). Madurai Junction Station is 23 minutes by foot. 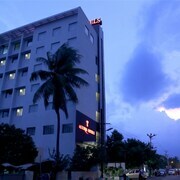 Situated in Madurai, this hotel is 1.1 mi (1.8 km) from Gandhi Museum - Madurai and 2.1 mi (3.4 km) from Meenakshi Amman Temple. ISKCON Madurai, Sri Sri Radha Mathurapati Temple and Thirumalai Nayak Palace are also within 3 mi (5 km). 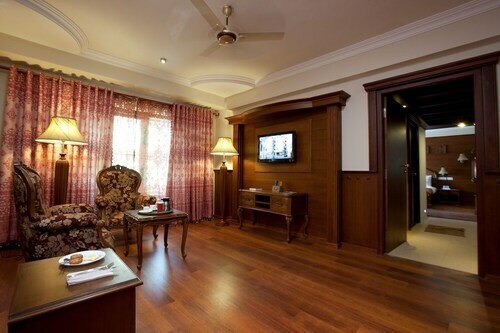 Situated in Madurai, this hotel is within 2 mi (3 km) of Meenakshi Amman Temple, ISKCON Madurai, Sri Sri Radha Mathurapati Temple, and Thirumalai Nayak Palace. Vandiyur Mariamman Teppakulam is 3 mi (4.9 km) away. Madurai Junction Station is 13 minutes by foot. 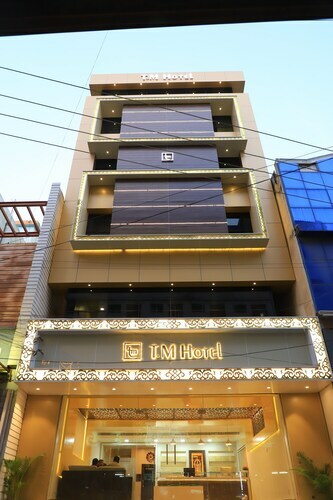 Located in the heart of Madurai, this hotel is 1.4 mi (2.3 km) from Gandhi Museum - Madurai and 1.9 mi (3.1 km) from Meenakshi Amman Temple. ISKCON Madurai, Sri Sri Radha Mathurapati Temple and Thirumalai Nayak Palace are also within 3 mi (5 km). 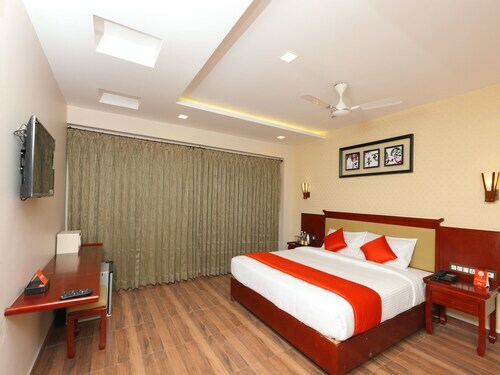 Situated in Madurai, this hotel is close to ISKCON Madurai, Sri Sri Radha Mathurapati Temple, Meenakshi Amman Temple, and Thirumalai Nayak Palace. Area attractions also include Gandhi Museum - Madurai and Vandiyur Mariamman Teppakulam. 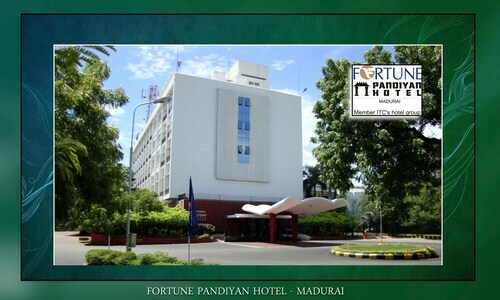 Situated in Madurai, this hotel is 2.1 mi (3.4 km) from Gandhi Museum - Madurai and 3.1 mi (5 km) from Vandiyur Mariamman Teppakulam. Meenakshi Amman Temple and ISKCON Madurai, Sri Sri Radha Mathurapati Temple are also within 6 mi (10 km). 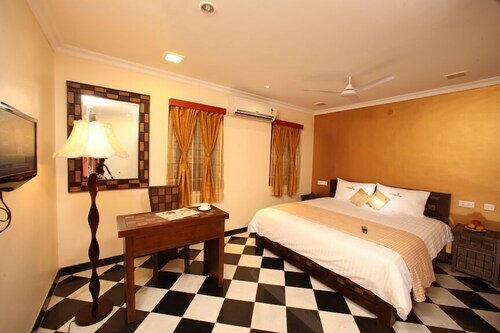 Located in the heart of Madurai, this hotel is within 1 mi (2 km) of ISKCON Madurai, Sri Sri Radha Mathurapati Temple and Meenakshi Amman Temple. Thirumalai Nayak Palace and Gandhi Museum - Madurai are also within 3 mi (5 km). Madurai Junction Station is 7 minutes by foot. 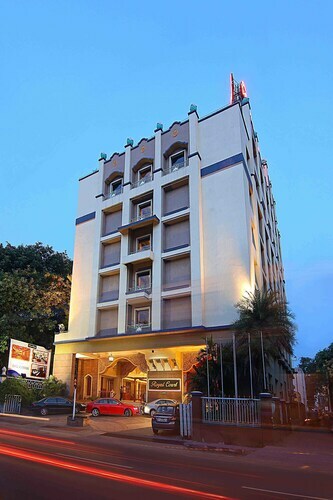 Situated in Madurai, this hotel is 0.6 mi (1 km) from Meenakshi Amman Temple and within 3 mi (5 km) of Gandhi Museum - Madurai and Vandiyur Mariamman Teppakulam. Madurai Junction Station is only a 5-minute walk. 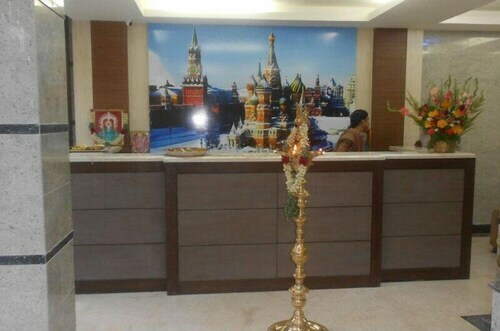 Situated in Madurai, this hotel is within 1 mi (2 km) of ISKCON Madurai, Sri Sri Radha Mathurapati Temple and Meenakshi Amman Temple. Thirumalai Nayak Palace and Vandiyur Mariamman Teppakulam are also within 3 mi (5 km). Madurai Junction Station is 7 minutes by foot. Located in the heart of Madurai, this hotel is within 1 mi (2 km) of ISKCON Madurai, Sri Sri Radha Mathurapati Temple and Meenakshi Amman Temple. Thirumalai Nayak Palace and Gandhi Museum - Madurai are also within 3 mi (5 km). Madurai Junction Station is 16 minutes by foot. 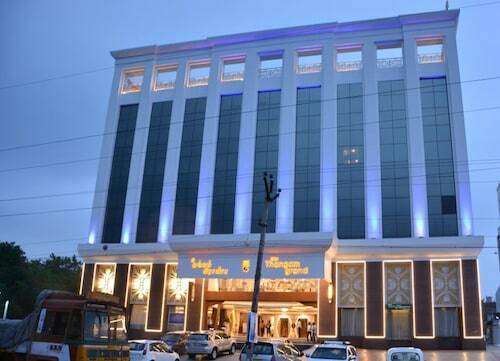 Situated in Madurai, this hotel is within 1 mi (2 km) of ISKCON Madurai, Sri Sri Radha Mathurapati Temple and Meenakshi Amman Temple. Thirumalai Nayak Palace and Gandhi Museum - Madurai are also within 3 mi (5 km). Madurai Junction Station is 16 minutes by foot. 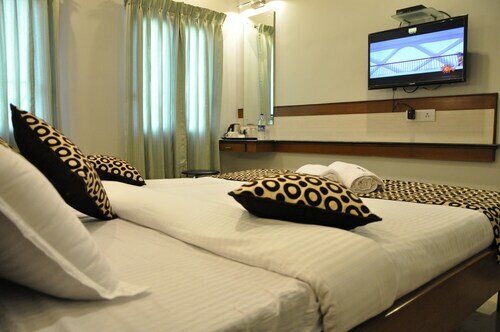 Located in KK Nagar, this hotel is 0.8 mi (1.2 km) from Gandhi Museum - Madurai and 2.6 mi (4.1 km) from Meenakshi Amman Temple. Vandiyur Mariamman Teppakulam and ISKCON Madurai, Sri Sri Radha Mathurapati Temple are also within 3 mi (5 km). 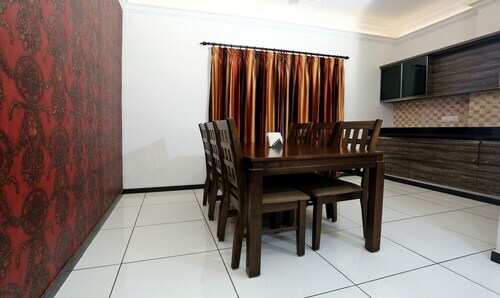 You can find 3 star hotels in Madurai that keep you close to all the great sightseeing and activities around the area, or even book a place that’s a bit more secluded, if that’s what you prefer. No matter what you’re looking for—whether you’re all about the location or are invested in on-site perks--Travelocity will help you find the accommodation that works best for you. When it comes to options, you’ll have them. 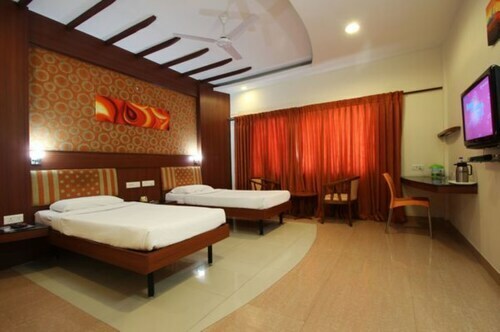 The Madurai 3 star hotels give you plenty of choices as far as access to the best areas, and many also offer a breakfast buffet, as well as plenty of other amenities like high-speed Wi-Fi and an on-site pool or spa. Whatever you’re looking for on your next getaway, browse Travelocity’s big selection of hotels to ensure you get the best possible deal. 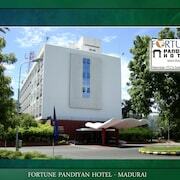 Book one of the best 3 star hotels in Madurai today!